Thread Lockers, sometimes called thread locking fluid, bolt locker, stud lock or in our case Nuts N’ Bolts are single component adhesives that cure in the absence of air (anaerobic). 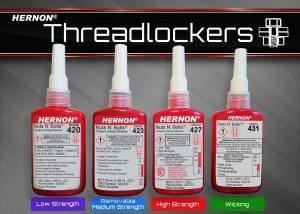 Our full range of Hernon Thread lockers are shown below. If you have a thread then we have the adhesive to suit. Most of the below are sized in 10ml bottles boxed per 10, 50ml bottles again boxed per 10, 250ml bottles boxed per 4 or you can purchase single 1 Litre bottles. There are some exceptions on sizes such as 128 Blue being available in only 10 x 20g bottles or 1 x 500g bottle. 410 Blue, 418 Blue, 419 Purple, 424 Green and 433 Amber are not available in 10ml bottles. There is an additional size of 1ml tubes available per 100 for 423 blue and 427 Red please contact us direct for a quotation. You will be surprised at our prices we are better priced within the market place against our opposition and as you can see below we have the all important and in some cases necessary specifications required in todays industry. 128 Blue Thread locker – Viscosity 80cP. 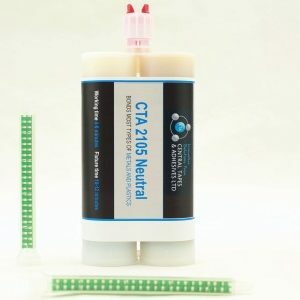 Fills gaps to 0.004″ (.102mm) Low strength Cyanoacrylate Threadlocker for use on small metal parts and thermoset plastic fasteners. Fixture is about 1 minute and adhesive can be pre or post applied. Any excess adhesive on the surface will cure and will not migrate to the other parts. Nuts N’ Bolts 128 can be used as a low strength thread locker, bonder or tamper proofer for metal, polyester, nylon and many other thermo plastics materials. Hernon EF Accelerator 58 can be used to speed up fixturing time. 220 Green Thread locker – Viscosity 15cP. Fills gaps to .003″ (.76mm) Torque 70/285lbs. High strength for fine threads, porosity and weld sealing. Mil Spec: MIL-S-22473E, GRD AA ASTM D5363 AN0111. Hernon Nuts N’ Bolts 220 is a single component, high strength, anaerobic compound used to lock and seal fine threaded nuts, bolts, and studs in a wide variety of applications. 223 Red Thread locker – Viscosity 2000cP Fills gaps to .015″ (.38mm) Torque 250/300lbs. High strength for coarse threads and loose tolerance. Mil Spec: MIL-S-22473E, GRD AVV ASTM D5363 AN0124. Hernon Nuts N’ Bolts 223 is a single component, high strength, anaerobic compound used to lock and seal coarse threaded nuts, bolts, and studs in a wide variety of applications . 225 Red Thread locker – Viscosity 150cP Fills gaps to .005″ (.127mm) Torque 70/200lbs. High Strength for coarse threads. Mil Spec: MIL-S-22473E, GRD AV ASTM D5363 AN0123. Hernon Nuts N’ Bolts 225 is a single component, high strength, anaerobic compound used to lock and seal coarse threaded nuts, bolts, and studs in a wide variety of applications . 227 Red Thread locker – Viscosity 15cP Fills gaps to .003″ (.076mm) Torque 45/200lbs. High strength for fine threads. Mil Spec: MIL-S-22473E, GRD A ASTM D5363 AN0121. Hernon Nuts N’ Bolts 227 is a single component, high strength, anaerobic compound used to lock and seal fine threaded nuts, bolts, and studs in a wide variety of applications. 230 Yellow Thread locker – Viscosity 150cP Fills gaps to .005″ (.127mm) Torque 120/140lbs. Medium strength for general purpose. Mil Spec: MIL-S-22473E, GRD B ASTM D5363 AN0131. Hernon Nuts N’ Bolts 230 is a single component medium strength, anaerobic compound used to lock and seal fine threaded nuts, bolts and studs in a wide variety of applications where removal with ordinary hand tools is necessary. 232 Blue Thread locker – Viscosity 15cP Fills gaps to .005″ (.127mm) Torque 55/75lbs. Medium Strength for fine threads. Mil Spec: MIL-S-22473E, GRD C ASTM D5363 AN0141. Hernon Nuts N’ Bolts 232 is a single component medium strength, anaerobic compound used to lock and seal fine threaded nuts, bolts and studs in a wide variety of applications where removal with ordinary hand tools is necessary. 234 Blue Thread locker – Viscosity 2000cP Fills gaps to .015″ (.38mm) Torque 100/80lbs. Medium strength for large clearance, coarse threads. Mil Spec: MIL-S-22473E, GRD CVV ASTM D5363 AN0143. Hernon Nuts N’ Bolts 234 is a single component medium strength, anaerobic compound used to lock and seal coarse threaded nuts, bolts and studs in a wide variety of applications where removal with ordinary hand tools is necessary. 236 Blue Thread locker – Viscosity 150cP Fills gaps to 0.005″ (.127mm) Torque 100/80lbs. Medium strength for coarse threads. MIL Spec: MIL-S-22473E, GRD CV ASTM D5363 AN0142. Hernon Nuts N’ Bolts 236 is a single component medium strength, anaerobic compound used to lock and seal fine threaded nuts, bolts and studs in a wide variety of applications where removal with ordinary hand tools is necessary. 237 Blue Thread locker – Viscosity 60cP Mill Spec: MIL-S-2243e GRD D ASTM D5363 AN0122. Hernon Nuts N’ Bolts 237 is a single component, high strength, anaerobic compound used to lock and seal fine threaded nuts, bolts, and studs in a wide variety of applications. 238 Purple Thread locker – Viscosity 150cP Fills gaps to .005″ (.127mm) Torque 65/35lbs. Low strength for coarse threads, removable parts. Mil Spec: MIL-S-22473E, GRD EV ASTM D5363 AN0152. Hernon Nuts N’ Bolts 238 is a single component anaerobic compound used to lock and seal coarse threaded nuts, bolts and studs in a wide variety of applications requiring easy removal or adjustment. 240 Purple Thread locker – Viscosity 15cP Fills gaps to .003″ (.076mm) Torque 65/35lbs. Wicking action for pre-assembled parts. Low strength for fine threads, removable parts. Mil Spec: MIL-S-22473E, GRD E. Hernon Nuts N’ Bolts 240 is a single component anaerobic compound used to lock and seal fine threaded nuts, bolts and studs in a wide variety of applications requiring easy removal or adjustment. 246 Brown Thread Locker – Viscosity 150cP Fills gaps to .005″ (.127mm) Torque 40/20lbs. Very low strength for coarse threads, easy disassembly. Mil Spec: MIL-S-22473E, GRD HV ASTM D5363 AN0162. Hernon Nuts N’ Bolts 246 is a single component anaerobic compound used to lock and seal coarse threaded nuts, bolts and studs in a wide variety of applications where removal with ordinary hand tools is necessary. 248 Brown Thread locker – Viscosity 15cP Fills gaps to .003″ (.076mm) Torque 40/20lbs. Very low strength for fine threads, easy disassembly. Mil Spec: MIL-S-22473E, GRD H ASTM D5363 AN0161. Hernon Nuts N’ Bolts 248 is a single component anaerobic compound used to lock and seal fine threaded nuts, bolts and studs in a wide variety of applications requiring easy removal or adjustment. 410 Blue Thread locker – Viscosity 15cP Fills gaps to .006″ (.127mm) Torque 90/80lbs. Wicking action for pre-assembled parts. Low strength for fine threads, removable parts. Mil Spec: MIL-S-46163A, Type III. GRD P ~ASTM D5363 AN0241. Hernon Nuts N’ Bolts 410 is a single component, low viscosity anaerobic adhesive/sealant designed especially for wicking applications. It has the ability to penetrate porous structures and cracks by capillary action, filling voids as large as 0.006″. 418 Blue Thread locker – Viscosity 25cP Fills gaps to .005″ (.127mm) Torque 100/40lbs. Medium strength, general purpose, low viscosity. Mil Spec: MIL-S-46163A, Type III, GRD P ASTM D5363 AN0241. Hernon Nuts N’ Bolts 418 is a single component anaerobic adhesive/sealant that is formulated for= applications where a low viscosity, medium strength thread locker is desired. 419 Purple Thread locker – Viscosity 130cP Fills gaps to .005″ (.130mm) Torque 600/50lbs. High strength, general purpose thread locker. Hernon Nuts N’ Bolts 419 is a one component, anaerobic material which has low strength for easy dis-assembly. Curing occurs only when the adhesive is confined between mating surfaces. Nuts N’ Bolts 419 prevents loosening through vibration and leakage of threaded fasteners. 420 Purple Thread locker – Viscosity 1200cP Non-Migrating and Thixotropic. Fills gaps to .005″ (.127mm) Torque 50/25lbs low strength for small diameter fasteners, removable parts. Mil Spec: MIL-S-46163A, Type II, GRD M ASTM D5363 AN0311. Hernon Nuts N’ Bolts 420 is a single component anaerobic threadlocking material, which is thixotropic and develops low strength for easy disassembly. The product cures when confined in the absence of air between close fitting metal surfaces. 422 Blue Thread locker – Viscosity 150cP Fills gaps to .005″ (.127mm) Medium strength for general applications. General purpose for bolts 1/4″ or larger Mil Spec: MIL-S-46163A, Type I, GRD J ASTM D5363 AN0231. Hernon Nuts N’ Bolts 422 is a medium strength, general purpose thread locking compound, ideal for all nut and bolt applications. Especially well-suited for ¼” or larger fasteners. Removable with hand tools. Curing occurs only when adhesive is confined between two mating surfaces. The cured adhesive is a thermoset plastic suitable for temperatures up to 300ºF and exposure to most solvents. 423 Blue Thread locker – Viscosity 1000cP Fills gaps to .005″ (.127mm) Torque 100/50lbs Medium strength for general applications. Mil Spec: MIL-S-46163A, Type II, GRD N ASTM D5363 AN0321. Hernon Nuts N’ Bolts 423 is a single component anaerobic thread locking material, which is thixotropic and develops medium strength. 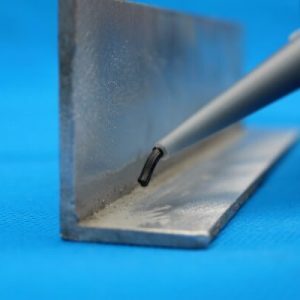 The product cures when confined in the absence of air between close fitting metal surfaces and is particularly suitable for less active substrates such a stainless steel and plated surfaces. 424 Green Thread locker – Viscosity 250cP Torque 200/280lbs. High strength for locking studs. Hernon Nuts N’ Bolts 424 is an anaerobic thread locking and sealing compound. Nuts N’ Bolts 424 is a very high strength adhesive for locking and sealing all fasteners up to 1 inch in diameter. Nuts N’ Bolts 424 is a perfect adhesive for harsh and corrosive environments. Curing occurs only when the adhesive is confined between mating surfaces. The adhesive is suitable for temperatures up to 300ºF (150ºC). 425 Red Thread locker – Viscosity 3000cP Fills gaps to .005″ (.127mm) Torque 230/350lbs. High strength for heavy duty fasteners. Mil Spec: MIL-S-46163A, Type II, GRD O, ASTM D5363, AN0331. Hernon Nuts N’ Bolts 425 is a single component anaerobic thread locking material, which is thixotropic and develops medium to high strength. The product cures when confined in the absence of air between close fitting metal surfaces. 426 Green Thread locker – Viscosity 600cP Fills gaps to .012 (.305mm) Torque 230/350lbs. Maximum strength, severe service and heavy duty studs. Mil Spec: MIL-S-46163A, Type II, GRD O, ASTM D5363 AN0331. Hernon Nuts N’ Bolts 426 is a single component anaerobic thread locking material, which develops high strength. The product cures when confined in the absence of air between close fitting metal surfaces. 428 Red Thread locker – Viscosity-7,000cP Fills gaps to .007 (.178mm) Torque. 200/270lbs High strength & withstands temperatures to: 450ºF. Hernon Nuts N’ Bolts 428 is a single component anaerobic thread locking compound designed for heavy duty applications subject to operating temperatures to 450ºF (232ºC). The product delivers high strength locking and sealing on screws, nuts, bolts, studs and fittings. Excellent break loose and prevailing torque values assure maximized resistance to transverse vibration loosening at elevated temperatures. 429 Red Thread locker – Viscosity-7,000cP Fills gaps to .010 (.254mm) Torque. 90/350lbs High strength for bolts & studs over 1″. Mil Spec: MIL-S-46163A, Type I, GRD L, ASTM D5363 AN0211. Hernon Nuts N’ Bolts 429 is a single component anaerobic thread locking adhesive. Nuts N’ Bolts 429 is a high-strength adhesive for locking and sealing large bolts and studs 1inch and larger diameters. Curing occurs only when adhesive is confined between mating surfaces. 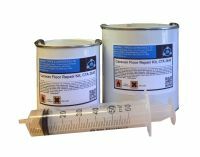 The cured adhesive is suitable for temperatures up to 300oF (149oC) and exposure to most solvents. 431 Green Thread locker – Viscosity-15cP Fills gaps to .004 (.102mm) Torque. 90/350lbs. Medium strength for all sizes of pre- assembled fasteners & porosity sealing Mil Spec: MIL- S-46163A, Type III, GRD R ASTM D5363 AN0261. Hernon Nuts N’ Bolts 431 is a wicking anaerobic used for preassembled equipment and structures where penetration into fastener connection points is required. This product allows very simple preventive maintenance by permitting thread locking without dismantling equipment. The product “wicks” into voids by capillary action. Use Nuts N’ Bolts 431 to seal pores or pinhole porosity in welded seams, tanks, castings, or metal parts. The cured adhesive is a thermoset plastic suitable for temperatures up to 400ºF (204ºC), and exposure to most solvents. 433 Amber Weld Sealant – Weld and Porosity Sealants Formulated to seal porosity in welds, castings, and powdered metal parts. Viscosity-15cP Fills gaps to .004 (.102mm) Torque 90/350lbs. 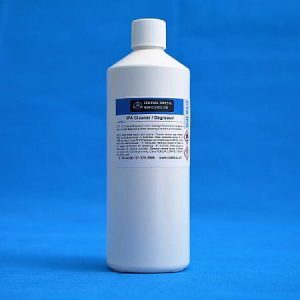 Hernon Weld Sealant 433 is a single component anaerobic penetrating adhesive and sealant. Utilizing capillary action, Weld Sealant 433 penetrates and seals porosities and cracks as large as 0.127 mm. Once confined away from air Weld Sealant 433 cures to a hard thermoset plastic. 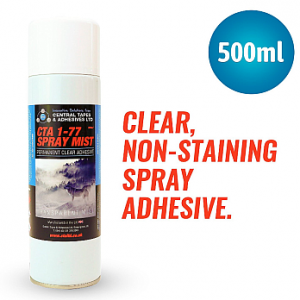 Sealant remaining on the surface will not cure and can be easily wiped clear. Benefits include retention of fluids and pressures as well as corrosion and contamination elimination. Temperature resistance is up to 400ºF (204ºC). Weld Sealant 433 is impervious to most solvents. Welds, castings and powder metal parts can be sealed to their rupture pressure. 434 Blue Thread locker – Non-Migrating & Thixotropic Fills gaps to .005 (.127mm) Torque 180/70lbs Medium strength for hand tool disassembly. For use on less active surfaces without primer Mil Spec: MIL-S-46163A, Type II, GRD N. Hernon Nuts N’ Bolts 434 is a thixotropic, 100% active anaerobic compound which solidifies with reliable and expected strength upon application to most fasteners. Particularly suitable for applications on less active substrates such as stainless steel and plated surfaces, where disassembly with hand tools is required for servicing. 439 Red Thread locker – Viscosity 3000cP Non-Migrating & Thixotropic, Surface Insensitive, Primer less, High strength Torque 325/320lbs. Hernon Nuts N’ Bolts 439 is a one component, high strength anaerobic adhesive. Nuts N’ Bolts 439 cures when confined in the absence of air between close fitting metal surfaces and prevents loosening and leakage from shock and vibration. Nuts N’ Bolts 439 is particularly fast curing thereby reducing or eliminating the need for activators. Particularly suited for heavy duty applications such as bolts used in transmissions, construction equipment or railroad assemblies where heavy shock and stress levels are required. The thixotropic nature of Nuts N’ Bolts 439 reduces the migration of liquid product after application to the substrate. We are the UK and European Technical Specialists and Distributors for Hernon Manufacturing Inc. If you would like to discuss an application please contact us.